The Junior League of Tulsa (JLT) welcomes the new class of Provisional members at its 2017 Provisional Retreat, which was held at JLT’s headquarters on June 24th. The 2017-2018 Provisional class was welcomed with a room full of baseball gear and cracker jacks to compliment the retreat theme of a “League of their Own.” During the retreat, the Provisionals were introduced to the JLT values and goals, as well as many of the committees. Allison Holt, Provisional Vice Chair, was instrumental in planning the day of development for the Provisional members. 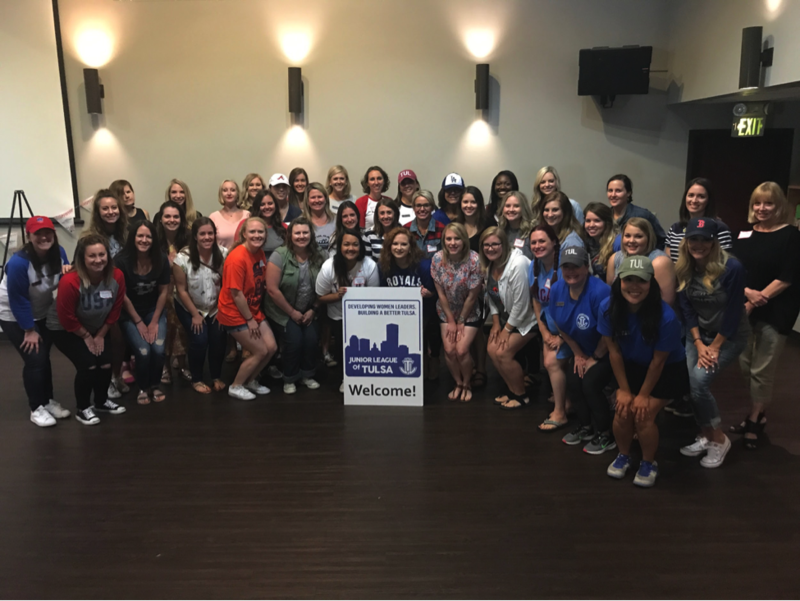 “The goal for our incoming Provisionals is constant and transparent communication and engagement… We want all of the Provisionals to know to that we value them and their commitment to the Junior League of Tulsa. We want them to feel connected and engaged throughout the year and know that they are important and invaluable to the Junior League of Tulsa,” says Holt. The new Provisional class is approximately fifty women who come from a wide variety of backgrounds.